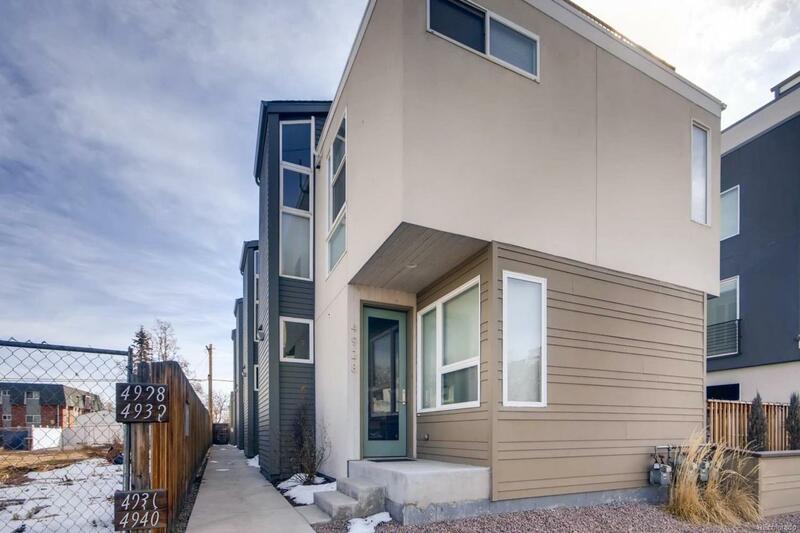 Loaded with hard to find upgrades, this townhome is for you if you are searching for a quality build unlike a lot of the dark, "plywood feeling" construction. 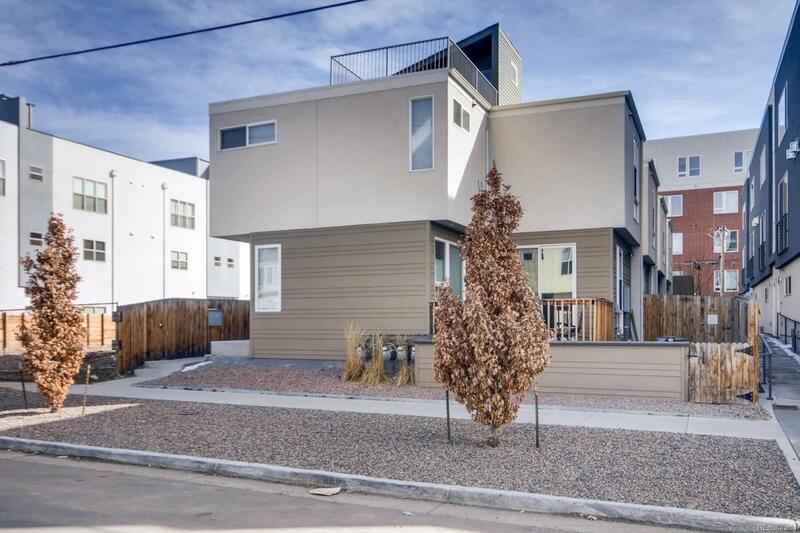 A refreshing option to the typical "slot home"! 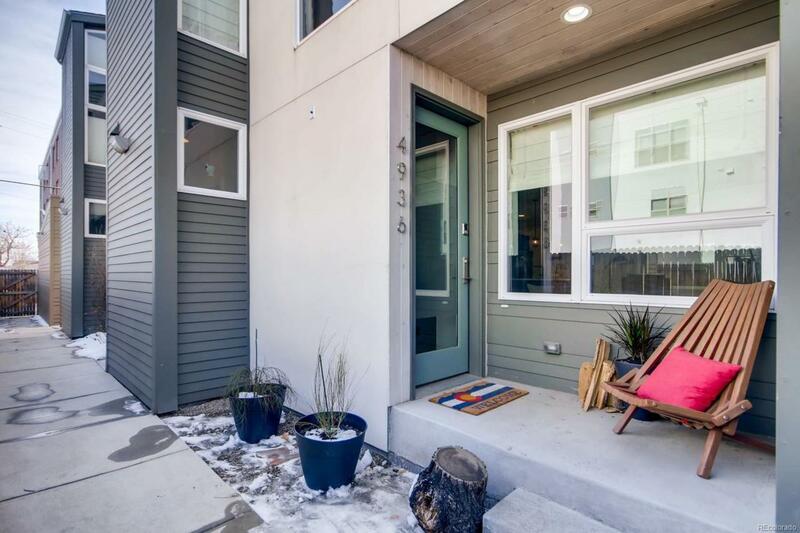 Outdoor space fully fenced, with low-to-no-maintenance - perfect for pets or just relaxing in the spring weather, detached garage, like-new and move-in-ready! 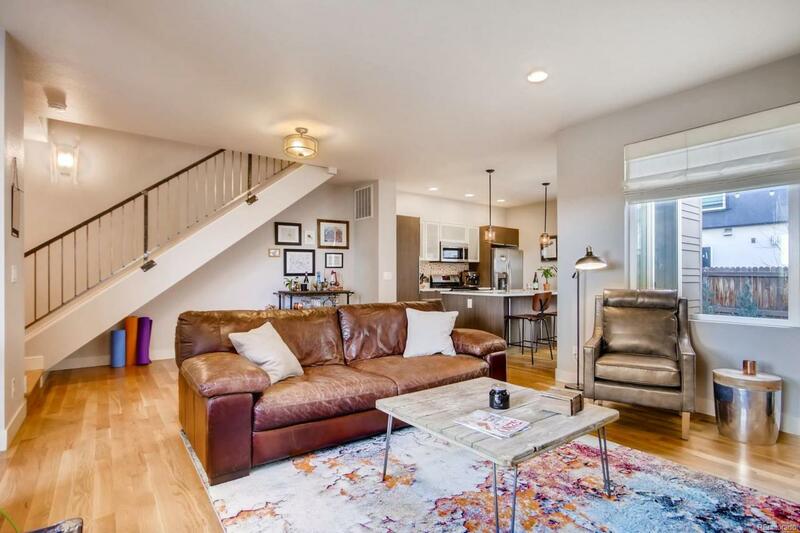 This property sports an open and bright floor plan w/ contemporary kitchen including large Caesarstone island w/ bar seating, undermount sink, Bosch stainless steel appliances, & tons of storage space including a large pantry. 2 master suites & dual vanities. Smart Things dimmers, & thermostat, solid-core doors & oak flooring, fabric shades. Convenient study nook located upstairs. Large rooftop deck has mountain views & entertaining space! Detached 1-car garage has loft area for more storage. Walk to shops, breweries, restaurants & Tennyson District, Rocky Mountain and Berkeley Lake are just a stroll or short bike ride!